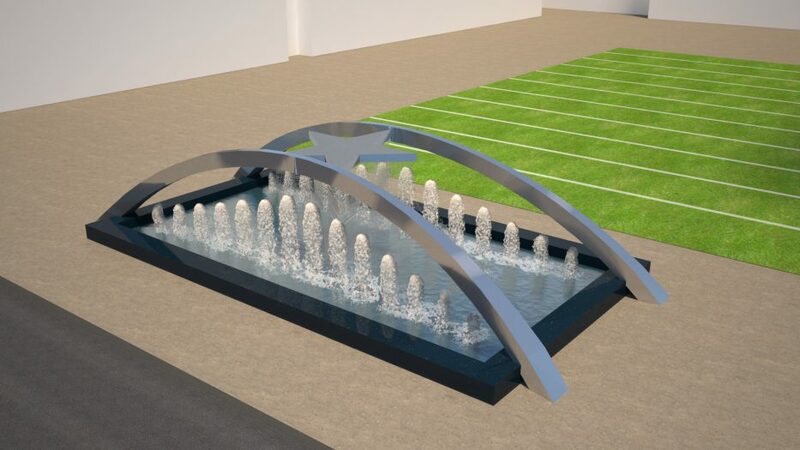 Located at an entry point outside of the Dallas Cowboys headquarters in Frisco, this fountain concept design showcases the Texas Lone Star and team emblem in multiple ways. 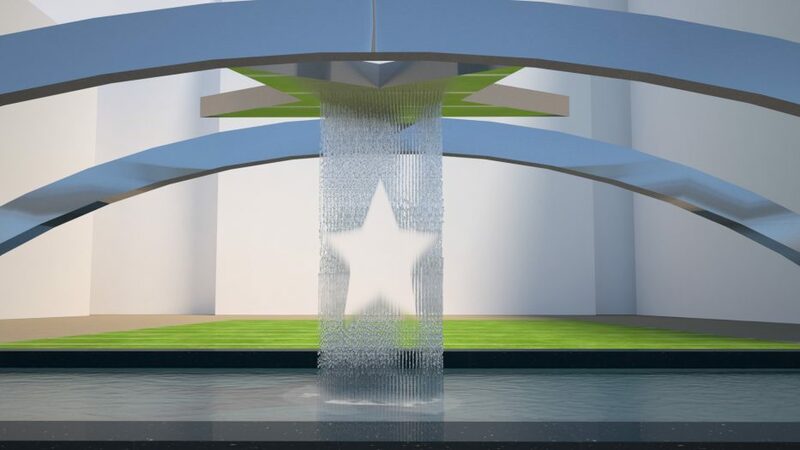 Polished steel arches suspend a predominant star at the top of the water feature. Inside of that star is a rain curtain feature with small nozzles that precisely drop water with gaps in the shape of a star. The pool of water below includes jets that shoot foamy vertical cascades to follow the curves of the sculpture.